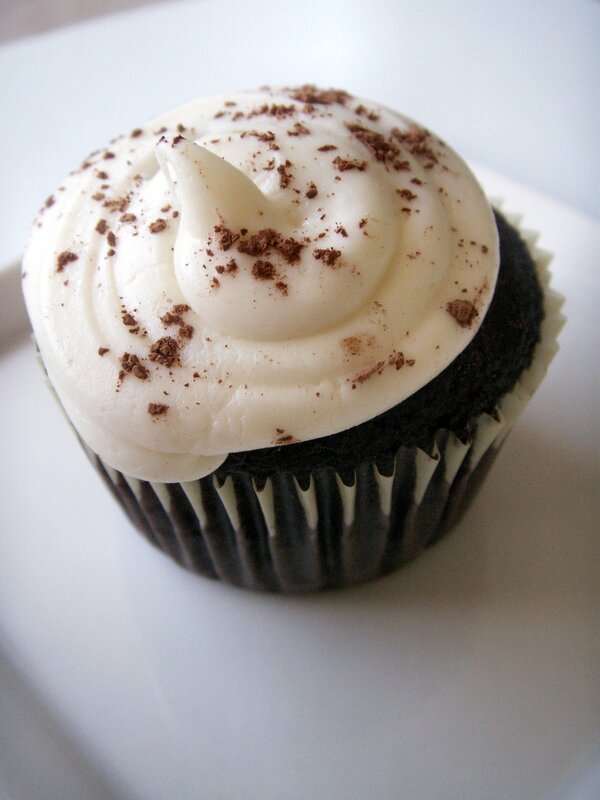 Learn how to make Chocolate-Cream Cheese Frosting . MyRecipes has 70,000+ tested recipes and videos to help you be a better cook MyRecipes has 70,000+ tested recipes and videos to help you be a better cook... The amounts stated are enough to frost the top of a 13 x 9-inch sheet cake, to frost and fill a layer cake double the amounts, this frosting freezes very well so make a double recipe and freeze for the next time, the confectioners sugar and cocoa must be sifted first. This smooth, creamy chocolate cream cheese frosting is the perfect finishing touch for any vanilla, peanut butter, or chocolate cake. It's wonderful on cupcakes as well.... This smooth, creamy chocolate cream cheese frosting is the perfect finishing touch for any vanilla, peanut butter, or chocolate cake. It's wonderful on cupcakes as well. Transfer chocolate mixture to a large bowl. Add the brown sugar, flour, hazelnut meal, egg and half the malted milk powder. Use an electric mixer on medium to beat the mixture, scraping down sides of the bowl occasionally, for 3 mins or until mixture changes colour.... The amounts stated are enough to frost the top of a 13 x 9-inch sheet cake, to frost and fill a layer cake double the amounts, this frosting freezes very well so make a double recipe and freeze for the next time, the confectioners sugar and cocoa must be sifted first. How to make a chocolate chip cookie cake with cream cheese frosting: You don’t have to be a fancy pants baker to make the worlds best chocolate chip cookie cake. This smooth, creamy chocolate cream cheese frosting is the perfect finishing touch for any vanilla, peanut butter, or chocolate cake. It's wonderful on cupcakes as well. Transfer chocolate mixture to a large bowl. Add the brown sugar, flour, hazelnut meal, egg and half the malted milk powder. Use an electric mixer on medium to beat the mixture, scraping down sides of the bowl occasionally, for 3 mins or until mixture changes colour. Preheat oven to 375 degrees F. In top part of double boiler over boiling water heat chocolate, 1/2 cup milk, brown sugar and egg yolk. Stir continuously and remove from heat when smooth and thick.